I’m Annelies Zijderveld, the food poet. Welcome to this gathering of food, poetry and art for one seriously delicious party. I try not to take myself too seriously, though that is often a losing battle. My voracious appetite for eating and the intertwined twins of reading and writing have led me to work in food marketing for 13 years and to receive an MFA in poetry. Food and poetry mingle far more often than people think. What started as a life lived on the go, la vie en route, years ago became a place online where I could chronicle all of the exquisite food, sights and books that I encountered or accompanied me on my travels. Here, on the food poet, I invite the poetry to mingle with food and for the food to be inspired by the poetry of life. I tend to be good food focused with an appreciation for real food and try not to satisfy a certain sweet tooth too often. Sigh. Also, sometimes, a losing battle. But seriously, I’m intrigued by the idea that a person can change their tastes and what they crave and the idea that we can change the world. With an avid intent of trying to live by an 80/20 philosophy, sometimes that ratio radically shifts to 20/80, leading to the right occasion for recalibration. I possess a proclivity for interesting ingredients and an obsession for tea. This obsession became fully realized in my first book, Steeped: Recipes Infused with Tea published by Andrews McMeel, April 2015. My approach to cooking can be best summed up in four words: start where you are. I did not grow up in a home with a Mom who relished cooking or a dad who appreciated aromas of food wafting through the house, though they lavished plenty of love on me in other ways. My journey in cooking has been founded over the years in a series of fits and starts. And if you find yourself curious about cooking but without the know-how, I would want for you to consider that even someone as respected in the food community as Julia Child or James Beard had to start somewhere. Say hello. Send me your current food obsession. Share a poem. 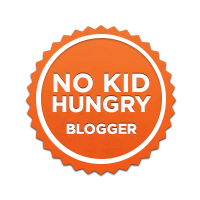 Join the food poetry community. 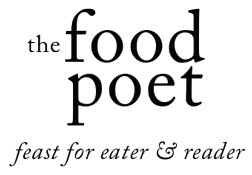 EMAIL: annelies at thefoodpoet dot com. PS- Will you help me bring back the postscript? My fondness for it knows no bounds.